What do you do when you receive a couple of goats as a Christmas gift? For two widows in West Bengal, India, it completely changed their lives. Those goats also become an integral part of the family. Janya Prachi and Kashvi Shanti are recent widows. Without the income and status that their husbands had provided them, they struggled to pay the bills. They each live with their children, so there are many mouths in their households to feed. As is typical in many Asian cultures, after they lost their husbands they also lost the respect of their fellow villagers. They could only get backbreaking manual labour jobs with meager wages. Janya and Kashvi had come to know the Lord through the witness of Gospel for Asia supported missionary Punit Bir and they faithfully attended his church. Ignoring cultural norms, the missionary and believers helped the widows as much as possible. Then last December, Punit received several pairs of goats that has been purchased in Canada through the Gospel for Asia Christmas Gift Catalogue to distribute to needy families in his church. Punit immediately thought of Janya and Kashvi. 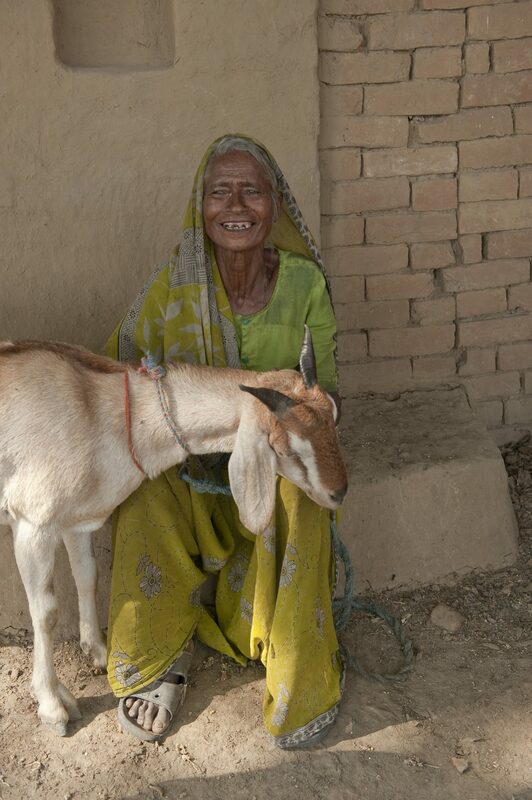 With a pair of goats, a poor family in Asia can nourish their children with the vitamin-rich milk and sell the excess milk for income. The missionary presented each widow with a male and a female goat. When Janya and Kashvi took their new goats home, they began meticulously tending to them. “These ladies take such good care of their goats,” a GFA correspondent said. “It’s obvious that they don’t treat them like goats; they treat them like family members!” And one of the goats is now expecting a kid, so they’ll soon have even more resources! The widows are incredibly thankful for how the Lord has provided for them in their time of great need. And they’re not the only ones who were blessed. Punit was able to give several others families goats, too. The goats are much cheaper to take care of than larger farm animals — like cows — so they are not a financial drain on the poverty-stricken families. And their milk can be used to drink or turned into butter and cheese. Some goats can also be sheared to make wool.